This is information about the 6 cm EME stations with performance data and pictures of the different stations. 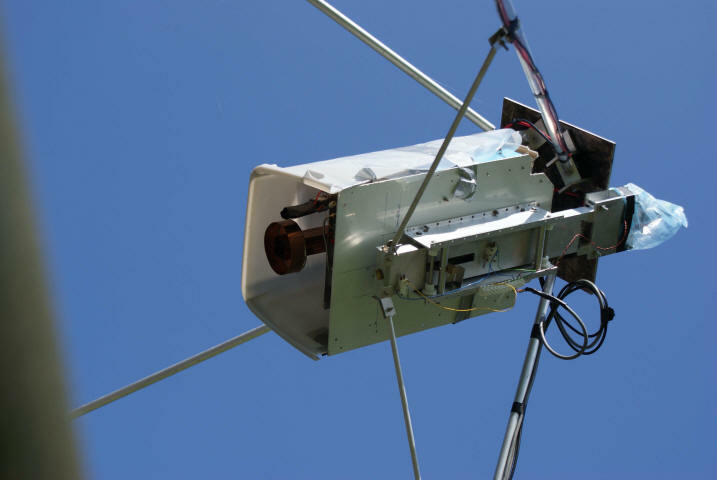 G4NNS photo of the 6cm Transverter mounted at the feed point. This has remote adjustment for focus. And the weather-proofing is a waste bin cut in half ! 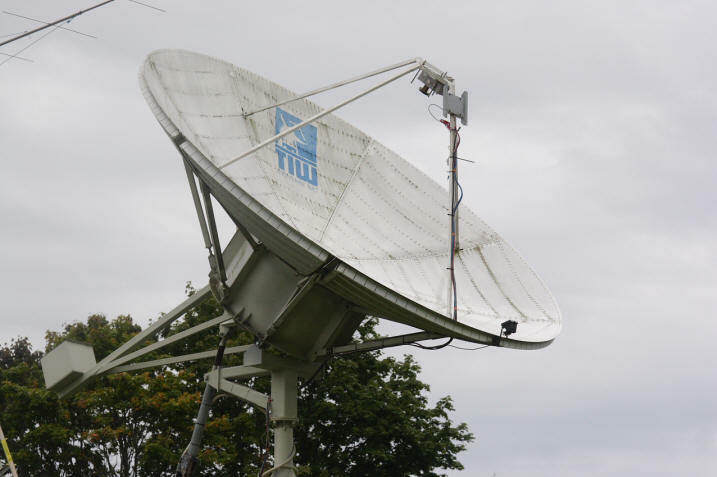 ES5PC Dish 4.5m dish,with the 5.7GHz transverter in the feed. Moon noise about 0.5-1dB depending on the tracking accuracy.